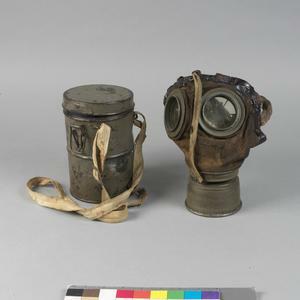 Respirator comprising leather face mask with fitted mica eyepieces mounted in circular metal frames. The mask has an elasticated head harness and is fitted with detachable metal filter. 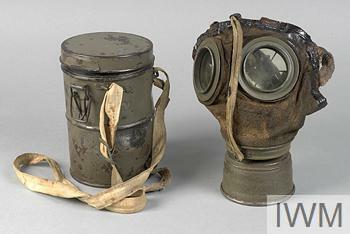 First World War period German Army gas mask. 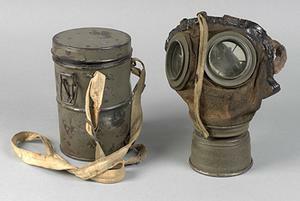 The M1917 'Lederschutzmaske' featured a waterproofed leather face mask with glass disc-shaped eyepieces. A scew-on metal filter cannister was attached to the end and had neither intake or exhaust valves. 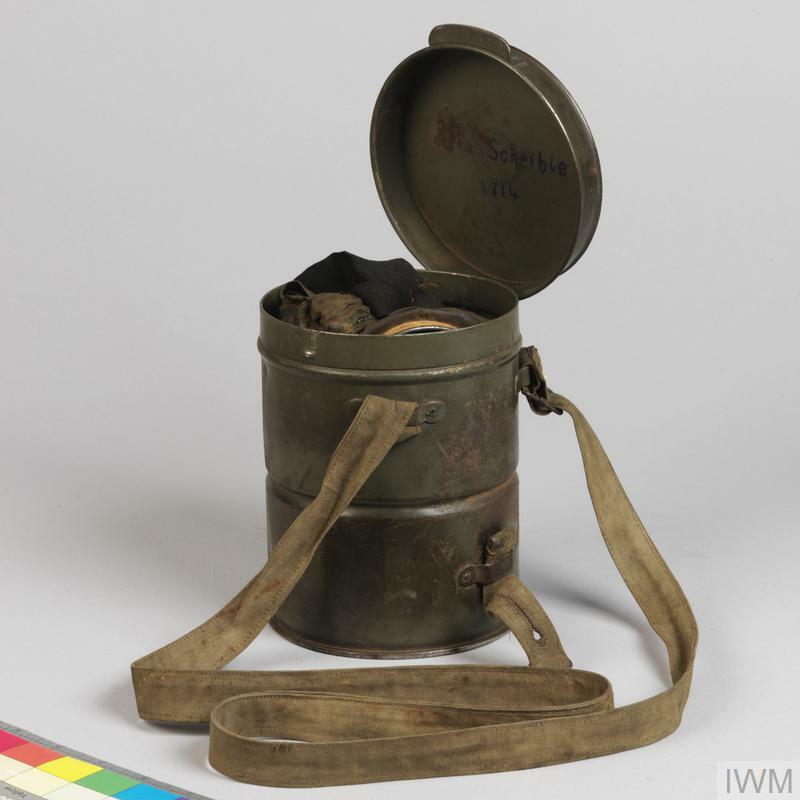 When stowed it was contained in a cylindrical tin container strapped over the shoulder.